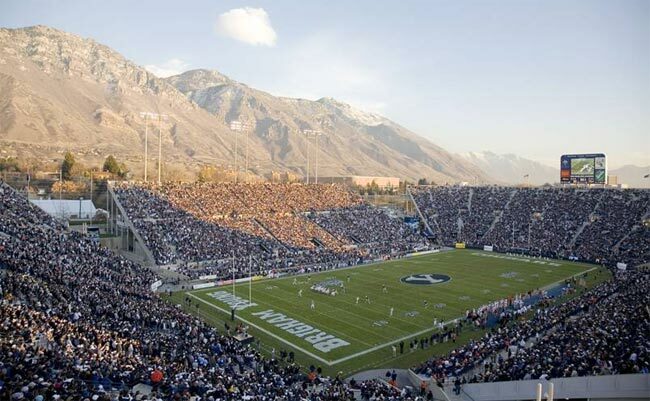 BYU kicks off at 8:30 tonight against UCON at Lavell Edwards Stadium. This is the annual “General Conference” game that they have often played against Utah State. The LDS Church is hosting their semi-annual 2 day conference on Saturday and Sunday so the Cougs play tonight. It’s not that big a deal anymore since they’ve gone to Friday night game so much anyways. I don’t know a ton about UCON other than they are better than last year when BYU went to Connecticut and beat them 35-10. BYU is favored by 17.5 points. I’m afraid it could be a little closer than that. The game will be televised on ESPN 2. The real story of the game will be if BYU can get up off the mat after the embarrassment last week, re-establish themselves and come out and beat a team they should. The other thing to watch will be the mood of the fan base. After the awesome slate of games in September, BYU now plays five teams in a row not from the Power 5 conferences. A bunch of these are gonna be the 8:30 Saturday night ESPN2 type games. Will fans still come out in droves to support the team? Are fans mad about the let-down at Michigan, or are they okay with 2-2 after such a tough September? The other big question is does BYU have anything left to play for after starting 2-2. The answer is really no. They of course do not play in a conference so there is no championship to pursue. I suppose if they ran the table from here on out, they could maybe have an outside shot at a New Year’s 6 game. However, I don’t think anyone believes they will win every remaining game. Not after watching how they just went through the motions last week and got exposed. Injuries are also piling up for BYU and it’s anyone’s guess what they will do for a running game. All the negatives aside – BYU is a better football team than UCON. They need to come out tonight and take care of business. Not sure they blow UCON out but I would expect to see BYU slowly wear them down and win by at least 10 points.